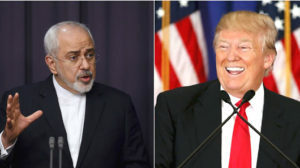 Iranian Foreign Minister Mohammad Javad Zarif says U.S. President-elect Donald Trump should remain committed to the nuclear deal signed between world powers and Tehran. “Every U.S. president has to understand the realities of today’s world,” Zarif was quoted as saying by the Tasnim news agency on Nov. 9. “The most important thing is that the future U.S. president stick to agreements, to engagements undertaken,” added Zarif, who spoke during a trip in Romania. Iran’s Supreme Leader Ayatollah Ali Khamenei replied to Trump’s remarks earlier this year by saying that he would happily “burn” the agreement if that was the case. Iran’s Atomic Energy Organization said it was prepared for any eventuality. “We have defined our nuclear program in such a way that we can continue in any situation,” spokesman Behrouz Kamalvandi told state media.